Escape from Upminster Palace! Johnny Alpha leads the underclass uprising in Strontium Dog’s Portrait of a Mutant. 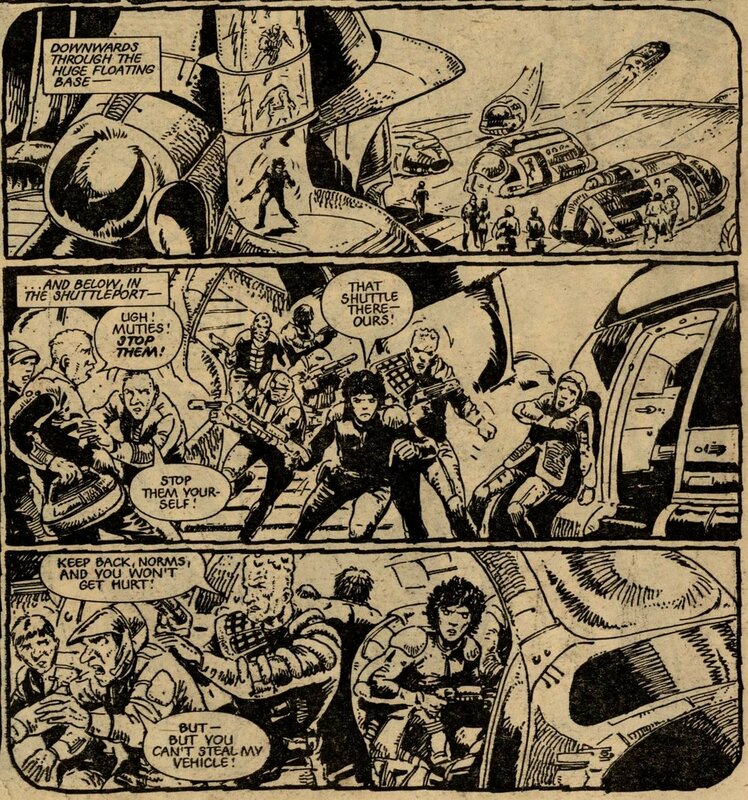 Carlos Ezquerra was the artist.